Being a noteworthy enterprise of this industry, we are offering a wide spectrum of Tenax Sealers. PROSEAL doesnot change the color of stone. 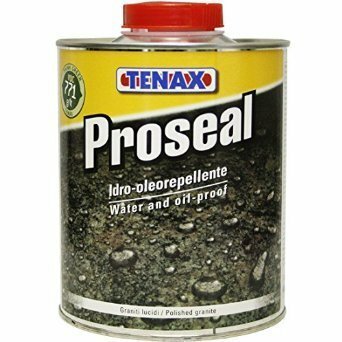 PROSEAL operates on the surface of materials, it stops micro porosities so that prevents liquids from penetrating the material but it remains permeable to vapors letting materials breath and keeping their characteristics unchanged. Established in the year 1990 at New Delhi (Delhi, India), we “Anita Distributors Pvt. Ltd.” are Private Limited based company engaged in wholesaling and trading of Joint Filling Chemical And Agent, Stain And Mold Remover, Polisher And Glue etc. Under the guidance of our Director, “Puneet Aggarwal”, we have achieved the reputed name in the industry.